Each year, organizations look for creative and effective ways to promote their group employee benefit offerings. It has become critical in a time when individuals are faced with comparing their workplace benefits with those offered on the open marketplace. Without adequate participation in group health coverage, companies cannot offer the kind of cost savings that they are expected to. Add to this the state of the job market as it stands currently. There are many skill shortages, which makes it easier for employees to hop from one job to another where they may receive better compensation and benefits. Companies need to make employee benefit marketing a priority in order to attract and retain their best employees. Employee benefit premiums are on the rise, again: According to the Society for Human Resource Management, 2017 health premium costs rise at least 6 percent over 2016’s figures. Since the Affordable Care Act, premiums have nearly doubled. Many employers now offer only high deductible health care plans that offer low premiums, but have annual deductibles of $4,000 per member or more. It can be hard to sell employees on this type of plan, unless some serious marketing takes place that can show it’s value. Here are some time-tested ways to improve your employee benefit marketing results, while increasing awareness and the perceived value of benefits for your workforce. Use as many of them as possible to keep your employees from shopping around for benefits elsewhere. Companies often limit their benefit discussions to when they introduce them to new hires. Or they keep them separate from other forms of compensation. However, this doesn't give employees the full impact of their total compensation. Use employee benefits as one of many perks and benefits of working with your company, added alongside salary and special incentives that are offered to employees. This enhances the perceived value. Smart marketing professionals address the “why” of offerings, which helps to increase the likelihood of conversion and sales. Use this same tactic when presenting employee benefits to employees and candidates. The marketing materials must address the needs of individuals. For example, one individual may be looking for flexible benefits that grow as he or she starts a family. Presenting the benefits in this way can help them make the decision to enroll. We live in a multi-media rich world. Smart Insights, a marketing firm that monitors consumer electronics usage, indicated that as of 2017, the use of mobile devices has exceeded that of desktop computers. More employees are looking to their benefits information on the go, and need clear messaging to encourage them to enroll and use these benefits. When sending out employee benefits communication it is important to use the right medium. Email can be good, but to reach individuals by phone, early mornings are the best; by tablet and online use late afternoon and evening messages. 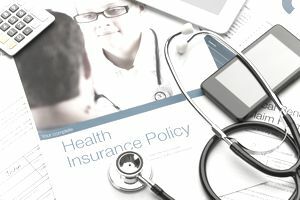 The entire idea of reading through employee benefit plan documents and trying to decide which coverage to accept is not all that appealing to most people. When marketing benefits it’s important to be as positive as possible. Make the benefits options about giving employees more control over their health care, their money, and their lives. One great way to increase the positive nature of the marketing around employee benefits is by allowing employees to share their testimonials with peers. This can be as simple as a written experience of using the benefits for a specific need, or a video created of their story. No one has to be perfect about this, just keep things natural and encourage employees to be honest. This can be the catalyst for getting other employees onboard. All benefits come with the standard explanation of benefits sheet, but you want to share something more meaningful. Develop a directory of health care centers and an orientation to the benefits program. Use a presentation that can be delivered to employees annually before open enrollment, during new hire onboarding sessions, and to simply educate employees about the benefits your company offers. Give out magnets that have the benefit administrators’ information and the 24/7 hour nurse hotline. Most plan administrators have access to massive amounts of marketing materials that can augment your current efforts. From flyers and folders to corporate swagger (t-shirts, hats, pens, etc.) there are many things that the company can share with your employees if you just ask. Invite your employee benefits rep to an annual health and wellness fair for even more fun. As a standard practice, all employee benefits plan managers need to be evaluating the use of benefits as they pertain to employees. There are some benefits that are not worth offering because employees simply do not use them. Conduct a survey at the start of each year asking what benefits are most desired and what are never used. Eliminate those that are no longer needed and replace them with something better. Every year, especially before open enrollment periods, it’s time to get the entire workforce excited about benefits. Gather a committee of brand ambassadors who can share their experience with using the benefits, how claims were handled, information about local health care centers, and the discounts your company offers. Ask them to encourage their peers to participate in this year’s enrollment, and to share on company review sites how generous your company is. While you may be reading this article now and thinking about a few ways to boost the marketing of your employee benefits, this isn't something that should just happen once in a while. Companies that have a reputation for taking good care of employees get there by marketing and promoting their benefits all year long. Create a compensation statement that can be downloaded by employees at an time. Remind employees to connect with the HR office anytime they have a question or need benefit support. These efforts can help your company stand out as a leader in terms of compensation and benefits.